After 20 months from the outset of the Syrian crisis, the US eventually decided to dismiss the main opposition leader and replace him with its own selected council. The reactions by some of the leaders of the so-called Syrian National Council (SNC) indicate that they have not been aware of the decision before the news was announced. Has Clinton just noticed that former Chairman of the SNC Burhan Ghalioun and the faction’s incumbent leader, Abdulbaset Sieda, have been teaching at French and Swedish universities for decades? Or has something new come up to prompt the US secretary of state to evict the SNC? The killing of the US ambassador to Libya has probably had a major impact on the change in Washington’s view. The North African country has not formed a comprehensive ruling system yet and Tripoli has become the scene of confrontations among rival militant groups on a daily basis. Moreover, the fall of former Libyan dictator Muammar Gaddafi has prepared the ground for the rise of al-Qaeda and Wahhabis in Libya, Morocco and their southern neighbors. The chaos in Mali and the seizure of its northern regions by pro-al-Qaeda groups is a clear instance of that trend. Meanwhile, Algeria and Morocco feel a greater danger in this regard. The so-called Free Syrian Army does not exist in Syria and the name is an umbrella for all the disparate groups conducting operations in the country. The US is concerned that if the Syrian ruling system collapses, and those separate groups become rival factions, a Libya-like situation will be created in Syria. Moreover, Washington has overtly expressed concern over the growth of extremist Salafis in Syria’s armed conflicts. Former US ambassador to Syria, Robert Ford, and prominent Syrian dissident Riad Seif have devised the plan for the new formation of the opposition groups and their unity. A 50-member council is also scheduled to form another committee to serve as an interim government or a transitional council for Syria. Riad Seif expects the new so-called government to be recognized by more than 100 countries. The formation of the new opposition council is scheduled to be announced after the US presidential election. In other words, any US administration will continue Washington’s policy of interference in Syria, and will recognize the new opposition council. The SNC has had such a disappointing performance for the US and West that Washington itself was compelled to take the initiative directly and, as Clinton said, it has selected the members of the new council beforehand. Such an authoritarian and coup like attitude from the US was Washington’s last resort to unite the Syrian opposition. The EU has no independent initiative either, and — like the Palestine crisis — it is waiting for the US scenarios to follow suit. Turkey, Qatar, and Saudi Arabia are in a far worse predicament, compared with Europe. Ankara has realized that all its efforts to bring the SNC to power have been in vain. The reason behind the confusion is that neither the US nor its allies in the so-called Friends of Syria group had a clear understanding of the Syrian crisis at the outset and thought that, like the former Tunisian and Egyptian regimes, the Syrian government will be toppled within a few weeks or, like the former Libyan government, it will collapse with foreign military intervention. The resistance of Assad and the Syrian army, continuation of the crisis, weakness of the opposition, emergence of allegedly unwanted elements (al-Qaeda) and likelihood of the spillover of the crisis into the neighboring countries were the realities that Washington gradually accepted. While, a quick scan of the Middle Eastern newspapers unmasked the wrong policy of the US and the West, it’s not clear what the West’s colossal research centers, CIA, the US Department of State, and US National Security Council had been busy doing. Despite the fact that Washington dismissed the SNC with such a disrespectful manner, the opposition group has no option but to participate at the Doha meeting, hoping to gain control over at least one-third of the new council. The new council will be very docile as it will vanish overnight in the absence of the US and its allies. The Syrian Muslim Brotherhood will hold control over the next council, as it was the case in the previous one. The movement does not scruple to forge ties with anyone in an attempt to come to power. The major characteristic of this new phase in Syria will consist a more serious and blatant interference in the country. Military, financial, and political assistance will rise. Efforts will be made to stop Qatar and Saudi Arabia to strengthen Wahhabis, and to make sure that the sent weapons do not reach al-Qaeda. Another characteristic of the US’s plan will be focusing on the two main sustaining pillars of the Syria’s administration, the Syrian army and the General Security Directorate, in order for the challenges of the post-Saddam Iraq not to recur. France has also reacted to this and agreed to upholding the Syrian Army. After all, some of the opposition wings inside Syria are not ready to attend the Doha meeting. Abdulbaset Sieda says the SNC has been pressured to negotiate with the Syrian government. Objecting to US’s disrespectful manner, some of the members of the council also say that the Doha meeting aims to pave the way for negotiations with Assad. During the next days, more news will be published about the insurgents’ military attacks, their seizure of an oilfield, or crash of a fighter aircraft belonging to the Syrian army. However, the idea that Syrian army retreats from some regions to create the space for rival groups to clash, emerges gradually. Syrian rebels are reportedly receiving British intelligence on regime troops’ whereabouts, as fighting in the country continues. Forces loyal to President Bashar al Assad have reportedly used helicopter gunfire and mortars in the battle for Aleppo, amid fresh claims British intelligence is helping rebel fighters to oust the Syrian leader. According to an opposition official, information on Syrian troop movements is helping rebels launch successful attacks on regime forces in the second city, where both sides have been locked in fierce fighting for weeks. “British intelligence is observing things closely from Cyprus,” the official told The Sunday Times. “It’s very useful because they find out a great deal. 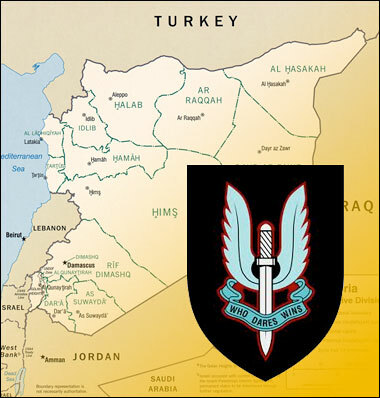 The newspaper quoted the official as saying British authorities “know about and approve 100%” intelligence from their Cyprus military bases being passed through Turkey to the rebel troops of the Free Syrian Army (FSA). “The British monitor communications about movements of the government army and we got information about reinforcements being on their way to Aleppo,” the official continued. It is the first indication that British intelligence is playing a covert role in the anti-regime revolt. Aleppo – the country’s commercial centre – has become the focus of the 17-month conflict, partly because of its strategic location near the Turkish border. Meanwhile, Christians in Damascus have been telling Sky Foreign Affairs Editor Tim Marshall of their fears for the future as bloodhshed threatens the country’s secular society. The patriarch of a Greek Catholic church in the Syrian capital says some Christians fear they could be forced out of the country after a civil war, as has happened in other countries touched by Arab Spring unrest. Syrian state TV has aired footage of President Assad at a mosque in Damascus. In his first public appearance since the beginning of July, Mr Assad attended a prayer service to mark the start of Eid. On Saturday, opposition fighters clashed with Syrian troops close to the city’s airport. Also, Syria denied reports that Mr Assad’s deputy, vice-president Farouq al Shara, had defected. More than 18,000 people have died in the bloodshed so far and around 170,000 have fled the country, according to the United Nations. In an article about France urging Syrian rebels to form a provisional government, the New York Times scrubbed a passage which revealed that the CIA was helping funnel arms to rebel groups that have aligned themselves with Al-Qaeda terrorists. Copies of the two different versions of the article can be viewed here. This change of wording, albeit subtle, serves to absolve the CIA of directly arming rebels, who are admittedly being led by Al-Qaeda terrorists as the London Guardian reported last month. Earlier this month, President Barack Obama signed a secret order authorizing the CIA to aid Syrian rebels in attempting to overthrow Bashar Al-Assad. However, the order stopped short of allowing the CIA to provide lethal weapons. Despite public claims on behalf of the White House that no weapons are being sent to the rebels, reports that the CIA has been doing precisely that have been circulating for months, including a recent story about CIA spies smuggling 14 stinger missiles into Syria so rebels could defend themselves with ground to air technology. The New York Times admitted in a June 21 report that the CIA was “steering” arms to Syrian rebels from the Turkish border, but claimed the weapons were paid for by Turkey, Saudi Arabia and Qatar. The New York Times’ decision to alter the wording of the article is another example of how NATO-aligned media outlets are concerned about overemphasizing western support for the rebels given their involvement in terrorist attacks and other acts of brutality. Last week, the BBC removed a video clip which documented how FSA rebels were committing war crimes by using prisoners as unwitting suicide bombers. In a related development, hackers infiltrated Amnesty International’s website last night and used the NGO’s blog platform to post stories about the plight of protesters in Bahrain, Kurds in Turkey, as well as an article entitled Amnesty Calls on UN to stop the US, Qatar and Turkey funding and arming Syria Rebels. The Associated Press dismissed the article as a “fake blog post” and refused to divulge its content. Yet the story, a cached copy of which can be read here, cited confirmed reports that Syrian rebels are engaging in war crimes, as well as FSA fighters being responsible for the Houla massacre, which was initially blamed on Assad’s forces. The ‘objective’ news network PBS has been (and still is) engaging in the media propaganda war against the Syrian government, from perpetuating the myth about Syrian Migs attacking rebel fighters to calling the Syrian rebels “underdogs,” the Public Broadcasting Service is perpetuating the disinformation campaign surrounding the events in Syria. Such statements are utter and outright fabrications! The US and other countries have been quite involved in supporting the opposition and Al Qaeda is not “starting to show up” in the opposition as Woodruff would like viewers to think, but rather have been there for quite some time. Thus, the US government has been supporting the rebels since late last year and has been working with Al Qaeda (albeit indirectly) to topple the Syrian government, yet PBS seems to be concerned only with spouting lies. It is quite interesting that he cites Libya as a “success” as that nation, after being overrun by US-NATO backed fighters, has been plagued by violence in recent months. It makes one wonder what the ambassador thinks “success” actually means. Exactly. They are so outgunned right now. They’re basically operating with rifles and rocket-propelled grenades and homemade bombs. That’s another key component to their sort of arsenal right now. That’s how they deal with regime tanks. Thus, the propaganda campaign of demonizing the Assad regime and praising the US-NATO backed rebels continues with the help of such ‘reliable’ and ‘centrist’ sources as PBS. The psyop against the public continues as the imperialists push ever closer to intervention in Syria. CIA spies have smuggled up to 14 Stinger missiles into Syria so rebels can defend themselves from air strikes. The ground-to-air weapons have been delivered across the Turkish border to the Free Syrian Army and were partly paid for by Saudi Arabia, a security source claimed. President Bashar al-Assad’s MIG-23 warplanes and helicopter gunships have killed more than 1,000 people. The source said: “The West and the rest of the Middle East is not going to be able to secure a no-fly zone above Syria any time soon so the only way to stop the carnage is to take on Assad’s air force from the ground. Activists say more than 20,000 people have died in the 17 month civil war and the daily death toll has risen past 500 this week. Britain Preparing Squads to Assassinate Assad in Syria? Saudi and Qatari funded Free Syria Army and al-Qaeda terrorists are being trained to assassinate Syrian leader Bashar al-Assad and his military leaders, the Daily Star reports today. The British Chief of the Defense Staff, General Sir David Richards, said contingency plans are being drafted, including “limited” intervention by British troops in “areas where assistance was being provided,” the Press Association reports. Britain considers itself a “full-spectrum player” in the Middle East. It was at the forefront of the military intervention in Libya that resulted in the death of more than 30,000 people. The Telegraph reported on Saturday that the United States has balked at prime minister David Cameron’s proposal to further assist the FSA and al-Qaeda following reports that the CIA and MI6 supported mercenaries are killing unarmed civilians. The FSA has admitted killing civilians and captured Syrian soldiers. According to the CIA-engineered propaganda outfit, the Voice of America, U.S. intervention in Syria is more urgent now that “extremist Islamist elements” are taking a more active role in Syria. “The balance of forces in the Syrian opposition is such, that as time goes by and the radical Islamists are the ones who always seem to have the money and always seem to have the weapons, they will become much more dominant in terms of that opposition. That does not serve American interests and it certainly doesn’t serve the interests of stability in the region,” Dennis Ross told VOA. Ross is a member of both the CFR and the Trilateral Commission. He works with the Washington Institute for Near East Policy, an Israel-centric think tank closely related to the American Enterprise Institute and other neocon organizations. In September, al-Qaeda and the FSA offered a reward of $25 million for the assassination of al-Assad. Turkey’s Anadolou news agency quoted FSA commander Ahmad Hijazi as saying the money would be paid by “supporters and businessmen” abroad. In October, Turkey attacked Syria with artillery after Syria targeted FSA and al-Qaeda mercenaries on the border.